The TropicLab guys based from Singapore have been spending three years of musical bliss together as a collective. 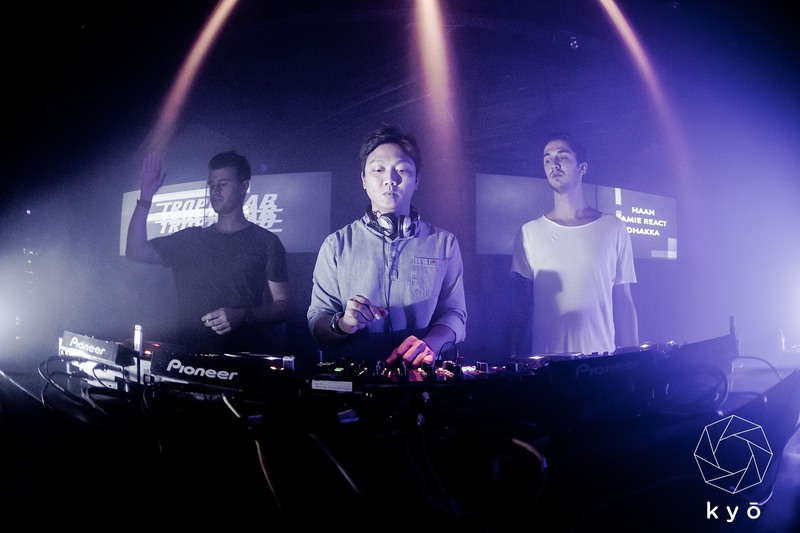 Since their inception, the trio, Jamie React, Dhakka, and Haan have been active players in the underground scene as artists, and event promoters. Their story began in 2013, when Dhakka and Jamie met through the latter’s wife and mutual friends. Those friends happen to represent Eastsidebarrio and Contrabrands, an awesome group of creative individuals and party enthusiasts. That particular meet up inspired them to start something of their own back in 2013. “We bonded pretty much instantly, we were the only two house DJs in that group of mostly b-boys, rappers and models,” Jamie explains. Sketch And Ash from Contrabrands helped the guys out when they were developing plans for TropicLab. They eventually decided that they should be doing their own thing. Organising their own shindigs became a natural development. They met Haan when they were invited to play at Oliver Osborne’s Hideout Festival, and they were obviously impressed with what they heard. Despite their similarities, they have showcased distinct differences when it comes to individual styles. We sat down with the lads to discuss what it means to be in a collective, and what their plans are for the rest of 2016. What do you think is the significance in functioning as a collective opposed to an individual artist? 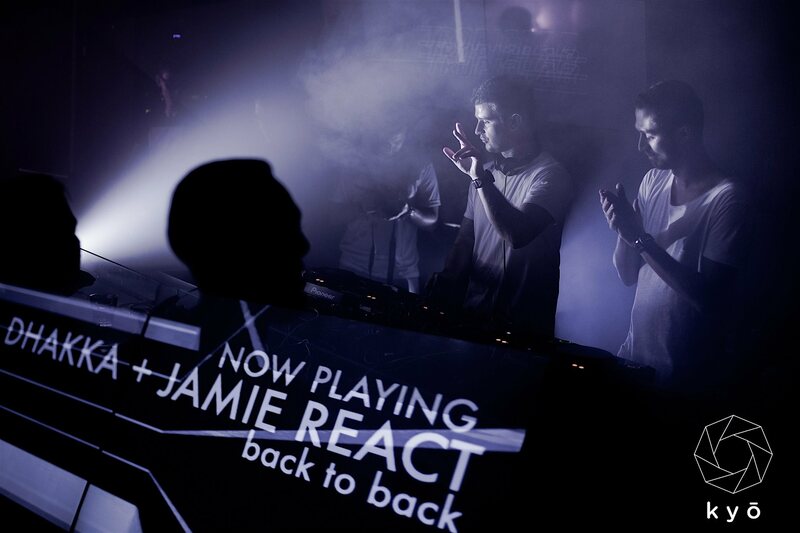 Jamie React: Whatever you can do to facilitate the best experience to the people who come through the doors of a club or venue to hear/see you or to listen to what you have created is key. A collective allows the ideas of several creative people to come together to enhance this experience. From a promoter’s point of view, running these sorts of nights takes an immense amount of effort, whereas a collective eases that burden to a certain extent; dividing the workload allows the creativity to flow. A collective becomes strong because of the sum of all of its parts. That could be anything from drive/determination, technical knowledge, design, and discology. At the end of the day as a collective you form one entity, which can be stronger than one person alone. Singapore has a smaller market compared to Malaysia, and Thailand. What’s your strategy in increasing your fan base? Dhakka: To be honest, anyone can click a button to expand their “fan base” but we have tried to keep things pretty much organic at TropicLab. What we want is word of mouth. If someone had a good time at our events, or like a podcast, remix or production that we did, then pass that info on to others, is definitely more than fine for us. Every day we are bombarded with Facebook events selling the next best nightlife event. In the end it has a negative effect; like you actually get pissed off by all these notifications. We keep our advertising mostly on two pages. We try to provide relevant content on our main TropicLab Facebook fan page and, group page for people to enjoy. We never had a huge budget, so we’ve had to improvise at every single step. We keep costs at a minimum so we can invest in promo items instead. I think everyone likes the shirts we give out? Aside from promoting events, and DJing, what else do you guys think you can do as a collective? Haan: We would love to see TropicLab growing organically as it has been so far. Aside from DJ’ing and promoting, we are working on some tracks together. Hopefully someday we will follow in the footsteps of Midnight Shift and, what they have done for the Singaporean scene and start our own TropicLab label. We have also talked to Midnight Shift, and other crews in Asia about putting on a festival. But then, it comes down to boring stuff like budgets and finding the right sponsors. There are plenty sponsors out there, but we are really picky about who we would want to work with. You guys are playing at Pisco in Kuala Lumpur on the 29th of April. What do you think is significantly different with the Malaysian, and Singaporean crowd? Jamie React: I think Godwin Pereira described it best when he said that Singaporean’s attention span in clubs is slightly shorter than the rest of the world, and that’s because of the tighter than usual drug controls that the government impose. And yes, as a DJ in Singapore you have to read the crowd more, but ultimately it’s up to you as an artist to educate and drive the crowd. For sure if you played what the crowd wanted to hear every time then our concept would become stale REALLY quickly. It’s a balance here that as a collective it’s easier to manage because you have more than one person to do this. Malaysian crowd has an awesome reputation globally for loving to party, and the scene has been established for time. One of my mates from the UK headed to KL 15 or so years ago to see Jeff Mills play there. I remember at the time thinking that was awesome, KL was a well-recognised techno spot by UK standards then. But scratch beneath the surface and the Singaporeans are exactly the same, some good parties happen here, you just have to have your ear to the ground more. You guys had Sound Love Affair over in Singapore, and you’re coming to KL to play at their event. How far can you expand this relationship? Dhakka: We had Kutty, Friz and Fauzi come over and play with us when we had our residency in Kilo way back so the relationship has been good for a while now. They are top lads and their concept is good too, it goes beyond the music, Fauzi is a seriously talented visual artist, those guys will go far. I think the two collectives can continue to bridge the gap between the cities. What they have accomplished at Pisco is awesome, and we will work together in the future for sure. Coming into your third year, has TropicLab achieved its goal in this specific time frame? Jamie React: You know we’ve had our ups and downs in that time like everyone, but it’s not like we sat round a table in suits sweating out targets and KPI’s. Everything developed pretty much naturally. We put our hard work in, and now looking back it’s nice to see what we have achieved. Loyalty played a big part in that I think. With the unfortunate first demise of Kilo, like others who had residencies there we had nowhere to go. We did brief stints in some places but they weren’t right. There were a few kind offers, but eventually it was the kyō family who took us in and gave us the tools and platform that we needed that has made us what we are today. As kyō grows we will be there with them to help all the way. Jamie React: I think that we will really start to evolve more steadily as a collective towards the later part of the year; develop more concepts and bring in more talent to the group. TropicLab is Singaporean through and through and I’d like us to continue to put on rocking parties and help cement the scene there, build more relationships with other artists and collectives, and represent Singapore elsewhere. We are really keen on building ties and playing in Bangkok, Koh Samui, Bali, Hong Kong, Jakarta, and the rest of the region. Do you see yourself adding more members to the collective? Haan: For sure! Although DJ wise, I think three is the optimal number to run on a night, like if you are warming up for an international guest then you can have an hour on the decks as per usual. If it’s a shorter set, then we can all go back to back but it’s nice to get a full set in. That’s not to say we won’t take in more DJ’s, but we will limit the number of people who play on a certain night. New members keeps things fresh, we want Tropiclab to stick around for the long haul, so whatever we have to do to facilitate that. We have big plans and it would be great to have a visual person, a motion designer, and web designer added into the mix too. They are potentially good assets to have in putting on the kind of shows that we want, and develop the cause as we move forward. Join the lads from TropicLab at Pisco Bar in Kuala Lumpur as they join Malaysia's Sound Love Affair's edition on the 29th of April. Check the event page for more info.